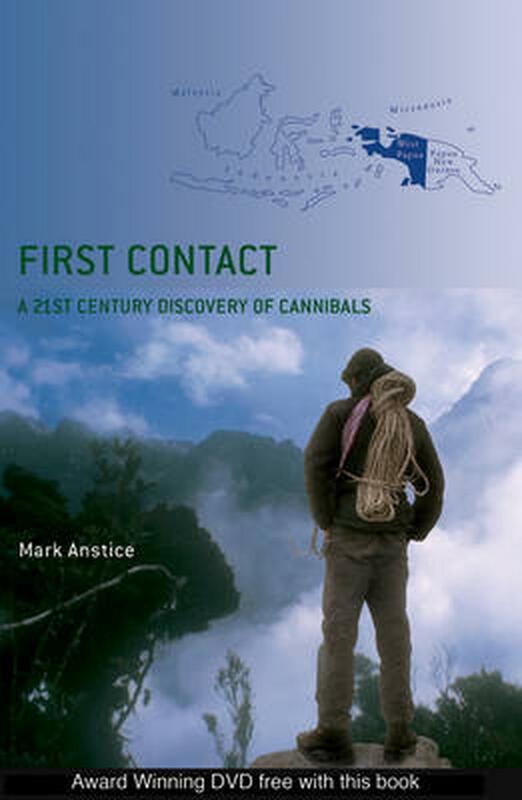 A true story of modern day exploration with the discovery of real life cannibal tribes in the 21st century. This is a true story about the discovery of cannibal tribes in the 21st century. It will appeal to anthropologists as much as it will to adventurers and those with a thirst for excitement and humour. From the very start the team found far more hurdles than those just the jungle could throw at them. In the course of their 150-mile journey by dugout canoe and foot through the southern swamp-lands they dodged police, encountered politically disgruntled ex head-hunters and were pursued by a previously uncontacted clan of the little known Korowai tribe. This was all before they had begun their arduous journey into the mountainous interior of the island and the previously unclimbed south face of Gunung Mandala, the reason for their expedition. An expedition far more extraordinary than they had ever imagined, one that would stretch them, their friendship and their equipment to the limits. Born and brought up in the Scottish Highlands, Mark Anstice developed a passion for adventure and the Earth's wilder places at an early age and lost no time in seeking them out as soon as he had left school in 1985. Realising he was not cut out for the 9-5 existence he joined the army 3 years later and immediately began planning expeditions, squeezing them in between operational commitments in the Gulf, Central America and Bosnia. Leaving the services in 1995 as a captain, he set about making a living from adventure - a spiritually rewarding but financially disastrous route that culminated in 'Maverick Travel', a company offering people extreme sports holidays. The following few years were spent abseiling from London's taller buildings, fixing and cleaning them to pay off the resulting debts. As he says of the time, "I was good at the adventurous aspects of it but not at business side of things - I made every mistake in the book." He had, however, still managed to undertake 12 major expeditions to deserts, mountains and jungles around the world. Mark has made 2 films for television including 'Crampons & Cannibals', the award-winning film that accompanies this book, has also written numerous articles for adventure magazines, and is a motivational speaker. He is currently working in Iraq, leading a local force of 800 men defending a 200-mile pylon line against saboteurs. First Contact is his first book. The Times: "Of all the unspeakable tests of endurance, this has got to be one of the worst. Two ex-army officers climb the south face of Mt Mandala in New Guinea. It takes them seventy days just to get there. First they travel upstream in a dug out canoe and then they hack through the jungle carrying 90lb rucksacks. Their feet rot, their cuts become infected and don't heal and despite feasting on the feet and claws of rodents, they become emaciated. Time and again, they are nearly swept away by rivers, they get on each others nerves and the cannibals tell them: 'Make sure you are gone by the morning or you will be dead.' That's even before they start climbing the sheer face of the mountain - without ropes of course." Endeavour: "A very well written book about an amazing adventure!" Adventure Magazine "A great read, fascinating viewing and superb value"